Why Choose Wireless Security Systems? Protecting your home from possible intruders is a high priority for most these days. When it comes to security systems, the debate between wired or wireless can be a tough decision. Both types offer advantages and disadvantages, with wired systems often seen as more reliable and wireless as more convenient. It really comes down to your own individual security needs and which type of system better suits these. Because wireless security camera systems are more advanced, they seem to be more appealing. Here we’ll review some of the important benefits of wireless security systems. Wireless security systems offer better protection against intruders than wired security systems. Since wired systems use the telephone line or internet connection, if one or both of these are down, so is your security system. Wireless systems use more reliable cellular connections, and thus, the alarm will still be triggered via the dedicated cellular service or the batter powered backup system. Most wireless systems are usually plug and play or DIY and can be set up in under 30 minutes, making installation of these systems and equipment easy and convenient. Wired systems require professional installation that takes longer to set up and test to ensure proper installation and functioning. Wireless systems often provide other functions, such as controlling lights and locking and unlocking doors. These tasks can be managed remotely via an app installed on your smart phone or device. Because they are easy to install, wireless security systems are also easy to uninstall and relocate. This is helpful when you are moving or even when you need to expand your system. Although these seem like great advantages, they may not be right for you. As mentioned, it is important to evaluate your own security needs to better understand which type of system will work best for you. If you need help deciding, please feel free to contact us at 888-203-6294. You may request a free quote or schedule a site survey. Browse our comprehensive stock of affordable security solutions online at SecurityCamExpert.com and connect with us on Facebook, Google+, Twitter, LinkedIn and Pinterest. Unfortunately, burglaries happen more often than we would like to think. You may think your home is safe and well protected, but when there’s a will, there’s a way. With the proper deterrents, you could keep your home and your loved ones safe. Review your home security and take heed of these security tips. You’ve seen it in the movies and on television many times – a swift kick to the door and it swings right open. The weakest point of your door is where the deadbolt lock inserts into the doorjamb. If your locks are poorly reinforced, a forceful kick is all it takes to get into your home. To properly reinforce your door, be sure that the screws holding the strike plate in place are at least 3 inches long. The longer the screws are, the better resistance from blunt forces. Another way to protect your door is to invest in a doorjamb and strike plate reinforcement kits. These affordable kits provide steel guards and steel strike plates for more protection. Are you prone to losing, misplacing, or forgetting your keys? Smart locks might be the answer for you. Smart locks allow you to lock and unlock your doors with either a keypad, finger scan, or your mobile device rather than with physical keys. These smart locks can be costly, but they offer convenience and can replace your current locks with minimal effort. If you’re looking for a cost-effective alternative to a complete alarm system, you might want to consider loud door and window alarms. While they do not automatically alert authorities, they will produce a deafening sound to alert you or anyone nearby and scare intruders away. Did you ever add extra protection to your patio door by using a bat or a piece of wood to block the sliding track? Well, there’s an easier way to do that now. Patio door locks act like vertical deadbolts for your sliding doors. Some can even be activated by foot so you don’t have to reach down to manually lock and unlock your door. Keep the perimeter of your property neat and trimmed so that burglars can’t hideout behind trees or bushes. Bright lights can also help to prevent burglars from sneaking around. Place motion sensor lights around your property, focusing on poorly lit areas and points of entry. They will turn on when motion is detected, informing you that there is someone outside and will likely startle any potential intruders. Mail theft may be the furthest thing from your mind, but the consequences can be quite severe. Because mailboxes are usually easily accessible, thieves can get a hold of your personal information and possibly steal your identity. Security mailboxes are much like traditional mailboxes, but they are usually made of heavy duty steel and require a key to open and access its contents. Storing valuables in a safe is smart, but it is also what burglars will look for. Be sure that your safe is always locked and not easily visible. It is also wise to bolt it to the floor in an inconspicuous area. You may even want to cover it with furniture to make it even harder to find. Keep an eye on the inside of your home with indoor security cameras. You can go for a simple and inexpensive webcam, or opt for a more advanced security camera with features like night vision or high resolution. For a great selection of security cameras and surveillance equipment, visit us online or give us a call at 1-888-203-6294. Want to share your own security tips with us and your peers? Find us on Facebook, Google+, Twitter, or Pinterest. Debuted at this year’s Consumer Electronics Show, the Netatmo Welcome camera is a new endeavor for the company. More prominently known for its weather station, this home security camera keeps you connected to your live feed for better home security. What sets the Netatmo Welcome camera apart from the rest is its excellent features. You can stay connected through iOS, Android, or PC/MAC apps to remotely view your feed. The camera itself boasts 1080p, 130 degree field of view plus infrared LEDs enabling night vision, and, most impressively, facial recognition. More and more cameras are being equipped with facial recognition technology, but its entrance into the home security field is brilliant. You can track the in home activity of your family members and be alerted when an unrecognized person is in your home. Of course, privacy concerns will always arise. The camera records all data on a local SD card rather than being uploaded to the Cloud, and the live stream “is secured by a bank-level encrypted connection.” And, with companion apps and accessories, you can choose how closely you monitor each person within your home, at what times, as well as determine which type of notifications you would like to receive. You can also monitor when doors or windows open or close. A release date is yet to be determined. For now, we want to hear your thoughts on the Welcome camera. Do you like the idea of facial recognition and keeping tabs on the people within your home? Do you think this home security camera will be a hit when it becomes available? Share your thoughts with us on our social networks – Facebook, Google+, Twitter, or Pinterest. 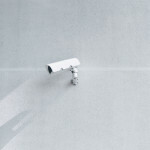 Let SecurityCamExpert.com help you find the right security cameras for you. Browse our stock online or give us a call at 1-888-203-6294 to speak with a representative directly. Our offices are open Monday-Friday 8:00am-5:00pm. We look forward to speaking with you! Smart homes or home automation is being more commonly used as the ability to control various aspects remotely proves convenient for most. This enables us to manage home alarms, lighting and such from our smart devices through the internet. This convenience can come at a cost – with access being provided through the internet, home automation systems become vulnerable to hackers. Home automation can prove to be very beneficial, allowing you to monitor your home while you’re away and even let people into your home without having to disperse copies of keys. You can control your energy consumption to cut costs on bills, or you can make it appear as if someone is home while you’re on vacation. These provide easier means to protect you from physical threats, but utilizing the internet for controls opens your system up to potential security breaches. One wrong move and strangers can gain access to your home security. However, there are ways to carefully and wisely implement a home automation system. A complex encryption and strong passwords can decrease your system’s weaknesses. Work with your vendor to find out specific details about their encryption and security measures to protect your systems. If you’re controlling different aspects of home automation, it might be wise to use different user ids and passwords so that if one control is compromised, the rest of your system remains intact. The complexity and strength of your passwords will help a great deal as well. One last caution is downloading apps on your smart devices. These may require access to networks or make you susceptible to malicious content. Always review the permissions the app requires and be wary of those that need access to your network. Overall, smart use of home automation can provide endless benefits. When dealing with sensitive information relating to security and safety, always proceed with caution. Know the risks and how you can protect yourself before diving in. As our technology continues to advance, so, too, does the knowledge of hackers. If you have any questions regarding home security system or surveillance camera needs, please feel free to call us at 1-800-203-6294. You can also visit us online at SecurityCamExpert.com – we carry wireless home alarm units, security cameras, CCTV camera packages and more.